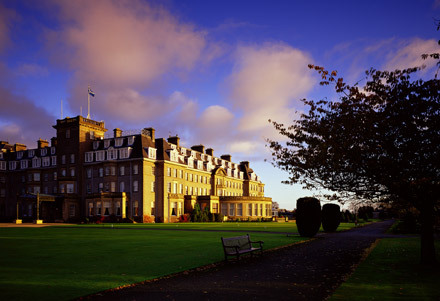 The first informal competition between British and American teams, a forerunner to the Ryder Cup matches, was held on The King's course at The Gleneagles Hotel in 1921. A strong British team that included James Braid, the course designer, won this competition. Gleneagles is hosting the 40th Ryder Cup matches in 2014. The PGA Centenary Course is the location for this upcoming event. The golf course was created by Jack Nicklaus and opened in 1993. 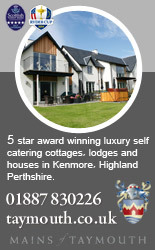 Elevates the beauty and scenic views of Perthshire into a golfing experience. Described by many as a 'hidden gem' on the Scottish golfing circuit, Pitlochry is well worth a visit. Pitlochry Golf is a real and welcoming golf club, where visitors come to enjoy themselves and are never disappointed.